Bring your carpet back to life by getting it professionally cleaned by us. Our experts are highly trained professionals who can thoroughly clean your carpet and extract dust and dirt from the deepest possible corner. We can make your upholstery look clean and smell fresh. We offer you 100% satisfaction guarantee. If you are not happy with our work, discuss the issues with us and we will fix the flaws immediately. Being a responsible carpet cleaning Double Bay services, we guarantee you high quality services that are in accordance with highest international standards. This is what sets us apart from tons of other carpet cleaning Double Bay agencies who claim to offer cheapest services in and around Sydney. They can certainly keep their cost low because they use harsh chemicals to loosen the dust and remove the stains from your carpet. Such chemicals may be harmful for kids. They may cause allergic reactions in adults and may even cause respiratory problems. Such products may even weaken the fibres of your carpet and may cause discolouration. The damage may not be immediately visible but with time, you will be able to realize that the chemicals have shortened the life of your carpet. We at Deluxe Carpet Cleaning are against those harmful chemicals. We do not prefer using them just to keep our prices low. Instead, we invest heavily in buying premium quality organic products that are non-allergic and are 100% safe for people, pets, as well as for your carpet. These cleaning solutions are tried and tested products; we also do a patch test whenever required. If your carpet is in a very bad condition and requires an extensive cleaning, we suggest you to try our steam cleaning method. Most people do not prefer steam cleaning because the carpet requires a lot of time to dry. We however, use an innovative method that uses very less amount of water as compared to the standard steam cleaning process. Further, we have high-tech water extraction machines that will squeeze out the moisture as much as possible, ensuring a fast drying time. The state of your upholstery reflects how responsible you are. Being an employer, you must ensure that your carpets and upholstery are always stain-free and germ-free. If you are looking for a trusted partner who can take care of your office hygiene, choose us. We offer high quality, flexible services to our commercial clients. We are always willing to work after office hours or on non-business days. You can hire us for once-off services or choose our highly affordable annual maintenance packages. Apart from carpets, we can clean your upholstery and even your entire office! Get in touch with us to know more. We are also a number one choice for homeowners who are looking for affordable and reliable carpet cleaning Double Bay services. Our services are highly customized as per your carpet’s need. 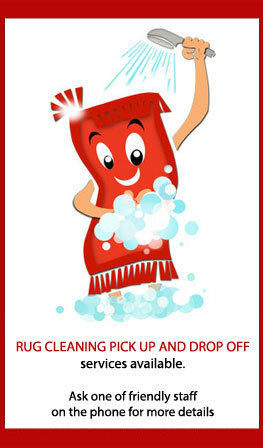 We also clean rugs and leather upholstery. Also, check out home cleaning packages. Call us at 1800 684 506 for more details. Deluxe Carpet Cleaning Bondi did an Awesome job thanks heaps.